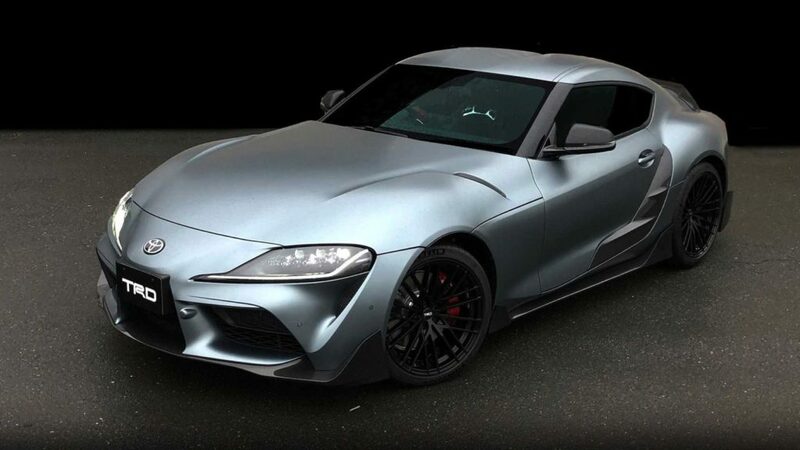 Last month Toyota finally took the wraps off the 2020 Toyota Supra at the Detroit Auto Show. 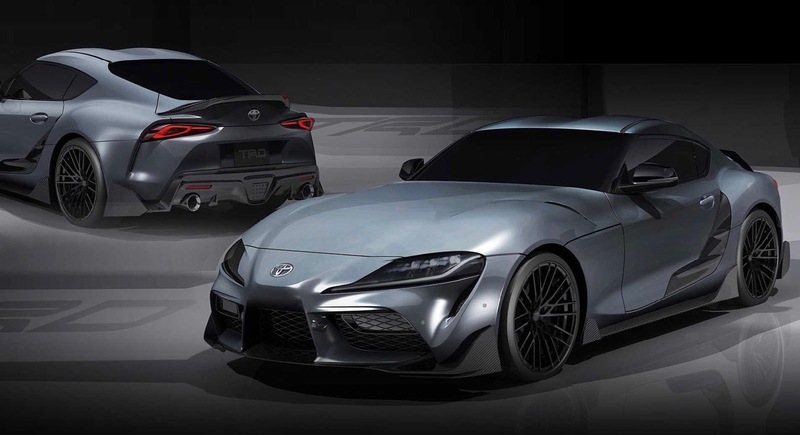 The 2020 Supra is slated to arrive this summer and now Toyota’s racing division, Toyota Racing Development (TRD) has unveiled the Toyota Supra Performance Line Concept TRD, which shows off some of the accessories that will be available for the new Supra. 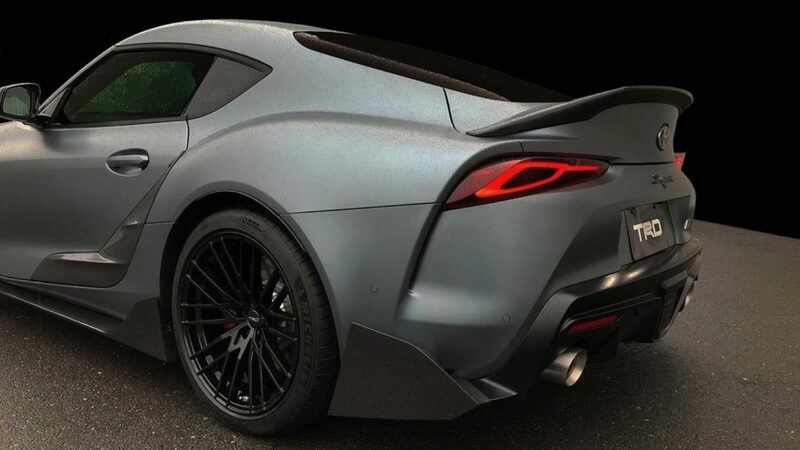 The Supra Performance Line Concept TRD is strictly a concept, but it does get lots of new carbon fiber parts to increase downforce and reduce lift. 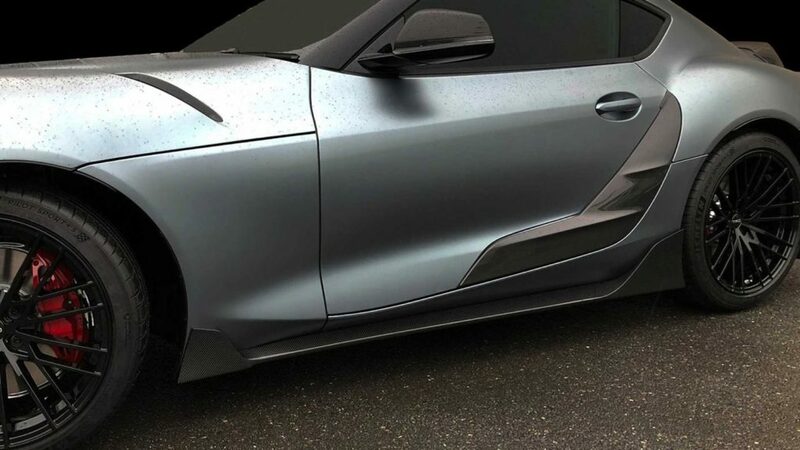 At the front there are new carbon fiber spoilers and at the side you’ll see new side skirts. The doors also feature carbon fiber add ons that are meant to mitigate airflow turbulence. At the rear there’s a new carbon fiber spoiler and lower spats to improve the air flow. 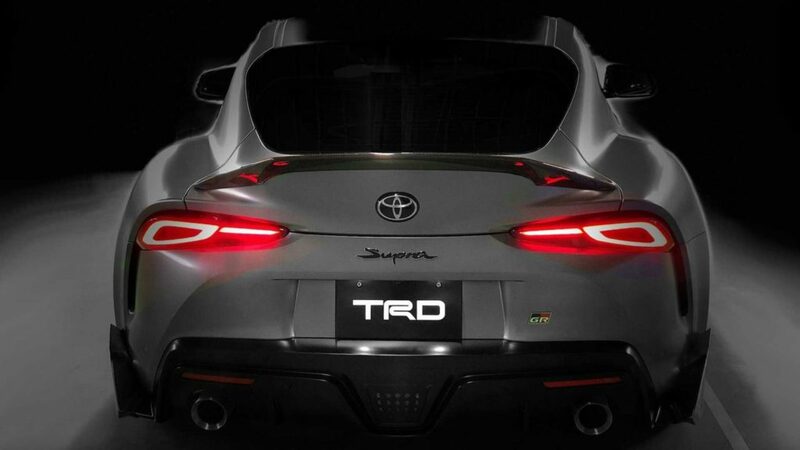 The Toyota Supra Performance Line Concept TRD also rides on unique 19-inch wheels. The only thing missing are upgrades under the hood, since the turbocharged 3.0L inline-six generates the same 335 hp and 365 lb-ft. of torque as the standard 2020 Supra.